As temperatures start to drop it’s important for students and families to remember to dress appropriately for winter weather. Students should make sure to wear suitable attire during frigid temps, which means layering up, whether they are bus riders, car riders or walkers. Be sure to always wear gloves, a hat, warm socks, sweaters, a coat, and warm, waterproof footwear. 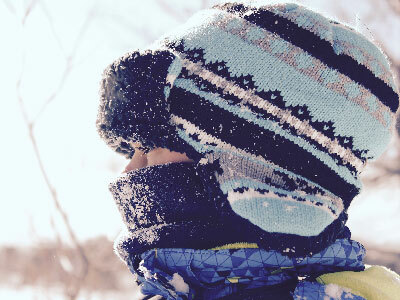 Add more layers and gear like a scarf or earmuffs to protect from extreme temperatures. Waterproof pants and jackets are even better as they don’t let any moisture seep into other clothing.Wool and similar fabrics are best when layering up, and try to avoid heavy cotton. It’s also helpful to have a snack before going outside; when it’s cold the body burns more calories. Eating or drinking something warm before venturing out helps to keep the body warm.In extremely low temperatures or wind chills, it’s best to limit time outside. If students are in need of support for proper winter attire, parents and guardians should contact their respective building principal or school counselor. The school can help connect families to community agencies for assistance. Remember to bundle up and keep safety in mind during these cold winter months. Additional winter safety tips can be found here.